The amount of friends you can make at an Oktoberfest celebration is directly proportionate to the number of pint glasses you can carry from the bar to your table. 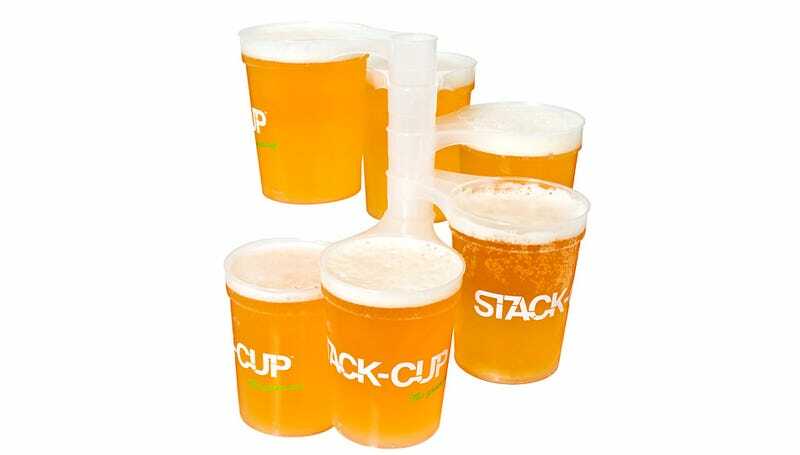 And with these clever stackable pint glasses, it's a lot. The plastic washable and reusable cups feature a tapered hollow handle that allows them to be easily stacked in a spiral pattern even when they're full. So if you've got the strength and the balance, you can carry far more than just what your two hands can hold.